The incident occurred in a bar at a Russian hotel during a U.N. anti-corruption conference in St. Petersburg. The RFE/RL report says that U.S. officials close to the case disclosed that the duo of drugged diplomats were taking part in the United Nations Convention against Corruption Conference, which was the first official conference held in Russia after the U.S., U.N., and allies imposed travel sanctions on Russia for its 2014 annexation of Ukraine’s Crimean Peninsula. 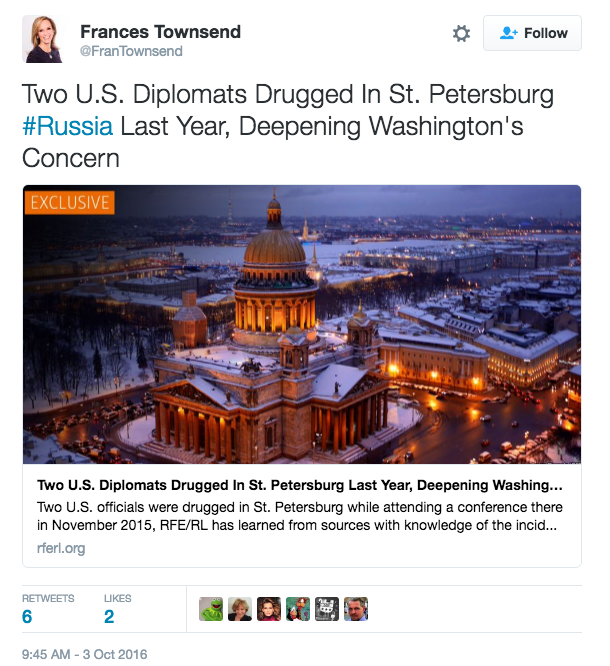 Though the State Department was concerned about the initial reports of the incident which occurred in November 2015, it wasn’t until June until this year when another U.S. diplomat was tackled outside of the Embassy in Moscow that the agency reexamined the incidents and concluded that they were part of a larger trend of harassment. The State Department decided to remain quiet on the initial issue because it did not involve top officials, but now admit the worrisome trend of harassment to U.S. diplomats in Russia has been escalating in the past two years. RFE/RL reports that the victims were one male and one female, and one of the two had to be hospitalized for becoming incapacitated. While at the hospital, medical workers attempted to obtain blood and tissue samples to determine the cause of the incapacitation but due to a power outrage in the middle of testing, no conclusion could be made. When the U.S. confronted Russia with the accusation, Russia demanded the U.S. provide evidence of their claim, which the U.S. could not supply. A U.S. official told RFE/RL that because of lack of evidence, Russia told them there was nothing they could do. The incident in June, which was caught on surveillance video, involved an accredited U.S. diplomat showing his identification to a guard outside of the U.S. Embassy in Moscow before being tackled which resulted in the diplomat having his shoulder broken. Moscow defended the guard’s actions saying he was doing his duty to protect the enemy and believed the U.S. official was a CIA official posing as a diplomat to gain access. 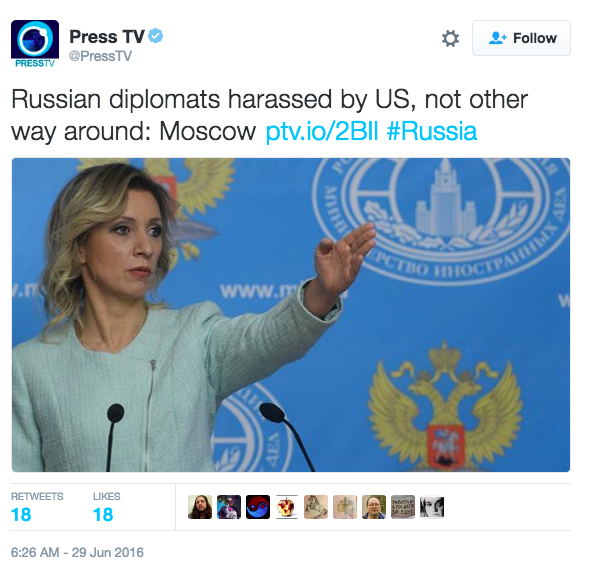 When the U.S. confronted Russia on the tackling Russia then went on offense to blame the U.S.